It's an all-German program this weekend (January 18 and 19, 2019) as guest conductor Karina Canellakis leads the St. Louis Symphony Orchestra and violinist Ray Chen in an evening of music by Beethoven, Mozart, Richard Strauss, and Paul Hindemith. The names are familiar to most music lovers, but some of the program might not be. The concerts open, appropriately, with an overture. Specifically, it's the second of four overtures Beethoven wrote for his opera "Fidelio" (originally titled "Lenore") so, naturally, it's known as the "Lenore" Overture No. 3. With a libretto adapted from Pierre Gaveaux's 1798 opera "Léonore, ou L'amour conjugal," Beethoven's opera is the story of Lenore's efforts to free her husband Florestan from a political prison by disguising herself as a guard named Fidelio. In fact, management at the Theater an der Wein, where the opera was first performed, insisted on changing the name from "Lenore" to "Fidelio" to avoid confusion with the earlier opera. With each production, "Fidelio" got a new overture. The overture now labeled "Lenore" No. 2 was actually the one performed at the first production in 1805. An 1806 revision got the overture we'll hear this weekend, "Lenore" No. 3. A planned performance in Prague in 1808 never happened, but the revised overture was discovered after the composer's death and labeled "Lenore" No. 1 on the mistaken belief that it was his first attempt. These days when the opera is performed, it's in the 1814 revision. Of the four overtures, "Lenore" No. 3 gets the most attention, primarily because it's the one that best encapsulates the story of the opera. As Michael Steinberg writes in notes for the San Francisco Symphony, it's "too strong a piece and too big, even too dramatic, to be an effective introduction for a stage action, something that Beethoven realized almost at once. It does, however, stand as one of the great emblems of the heroic Beethoven, a potent and controlled musical embodiment of a noble humanistic passion." In short, what works as a concert opener doesn't necessarily work as an opera opener. Though the piece itself is clearly within the Classical chamber concerto tradition, its scale (better than 25 minutes, usually) and the degree of its technical demands mark the work as something new for the violin. Many pieces with equal or greater raw physical demands had already been composed by the time of the Concerto No. 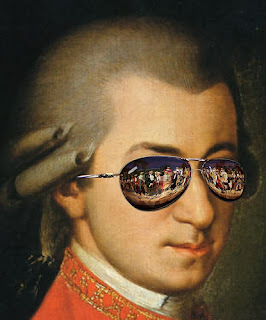 5, but none of them has survived the test of time, and certainly none is as formidable a piece of music -- it is not without reason that this is the only one of the five to regularly receive as much attention from musicologists and historians as do the crown jewels of Mozart's piano concerto catalog. A warhorse of the student repertory and a staple of the professional's diet, this may well be the most frequently played violin concerto ever written. Regarding this weekend's soloist, Ray Chen began to attract attention when he won First Prize in the 2008 Yehudi Menuhin and 2009 Queen Elisabeth Competitions for young violinists. Since then he has appeared with orchestras in Europe, Asia, and North America. This season his schedule includes the Los Angeles Philharmonic, the Singapore Symphony Orchestra, and the Barcelona Symphony Orchestra. 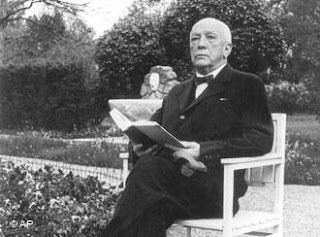 Up next is Richard Strauss's "Symphonic Fantasy from Die Frau Ohne Schatten" composed in 1946 and based on themes from his 1919 opera "Die Frau Ohne Schatten" ("The Woman Without a Shadow"). Like "Fidelio," the opera has a troubled history. The complex fairy tale libretto by Strauss's frequent collaborator Hugo von Hofmannsthal tended to leave audiences cold, and the serious technical demands of the work placed it outside the capabilities of all but the most well heeled companies. "If ever an opera was weighed down by its creators' joint ambition," writes John Shirley in a review of the Royal Opera's 2014 production, "it is Die Frau ohne Schatten." Strauss and Hofmannsthal saw the work as their masterpiece but "it turned into a complex and unwieldy embarrassment of riches, albeit a glorious one. The charge that this enormous fairy tale represents the librettist and composer at their most pretentious and overblown is difficult to refute." The "Fantasy," in any case, captures the drama and fantastic atmosphere of the opera in a mere 22 minutes and without the need for elaborate scenery. Besides, Tim Munro's program notes provide a handy breakdown of the themes used and their placement in the opera. The music requires a great orchestra but, of course, we already have that. 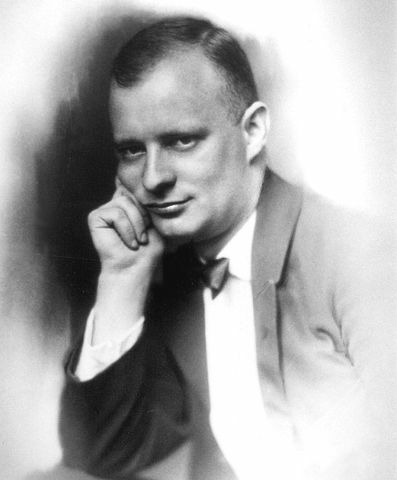 A great orchestra is also a requirement for the last work on the program, Paul Hindemith's "Symphonic Metamorphosis on Themes by Carl Maria von Weber." Originally intended as a ballet for the dancer and choreographer Léonide Massine, the work became a purely symphonic piece when Hindemith and Massine were unable to agree on its final format. The Weber originals serve as mere starting points for Hindemith's invention. Both the first and the last movements are marches, by turns whimsical and rambunctuous; both begin simply with Weber's tunes and transform themselves -metamorphose -into intricate display as the role of Hindemith's countermelodies grows ever more significant. The lovely Andantino, based on a Weber siciliana, consists of increasingly ornamented treatments of the melody first begun in the clarinet; the restatement is dominated by an obbligato for solo flute. The big movement, however, is the Chinese scherzo, where the simple tune works itself into a perpetual motion, ever grander in dimension. The wind and percussion work is for a time in the style of the Turkish band, with brash trills in the woodwind, snare drum, and triangle. When the percussion take over completely it is as though some huge musical clock has come unsprung, the last section discombobulating into irregular cycles of the constituent parts in multiple meters. Not surprisingly, the percussion section of the orchestra will be a large one for this work, with six musicians (including Principal Tympani Shannon Wood and Principal Percussion William James) banging away at timpani, snare drum, bass drum, cymbals, small cymbals, triangle, tambourine, small gong, wood block, tom-tom, glockenspiel, and chimes. Back in the day, this work was a favorite for audio enthusiasts looking to show off their stereo systems. The Essentials: Karina Canellakis conducts the St. Louis Symphony Orchestra and violinist Ray Chen Friday at 10:30 am and Saturday at 8 pm, January 18 and 19. The concerts take place at Powell Symphony Hall, 718 North Grand in Grand Center.